^ Trčková, Jiřina; Živor, Roman; Přikryl, Richard (2002-10). “Physical and mechanical properties of selected amphibolite core samples from the Kola Superdeep Borehole KSDB-3”. Terra Nova 14 (5): 379–387. doi:10.1046/j.1365-3121.2002.00427.x. ISSN 0954-4879. https://doi.org/10.1046/j.1365-3121.2002.00427.x. ^ Lynch, James Francis; Smithsonian Environmental Research Center (1982). Field book - Yucatan, February 1982 and January-February 1983. [s.n.]. https://doi.org/10.5962/bhl.title.145641. ^ “Максимов Л.В. Когнитивная наука: новая жизнь старых парадигм”. 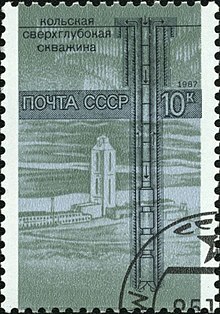 Философская мысль 11 (11): 11–24. (2017-11). doi:10.25136/2409-8728.2017.11.24657. ISSN 2409-8728. https://doi.org/10.25136/2409-8728.2017.11.24657. ^ Millard, Scott (2004-03). “Guinness World Records200458Guinness World Records. London: Guinness World Records Limited 2002 to date. Gratis URL: www.guinnessworldrecords.com, last visited November 2003”. Reference Reviews 18 (2): 9–10. doi:10.1108/09504120410520773. ISSN 0950-4125. https://doi.org/10.1108/09504120410520773. ^ Becker, H (1966). Planning and Drilling the Deepest Well in Europe - Munsterland 1. https://doi.org/10.4095/102996. ^ The making of a land : geology of Norway. Ramberg, I. B. (Ivar B.). Trondheim: Norsk Geologisk Forening. (2008). ISBN 9788292394427. OCLC 252280791. https://www.worldcat.org/oclc/252280791. ^ “Bellows, James Gilbert, (12 Nov. 1922–6 March 2009), TV, newspaper, on-line executive”. Who Was Who (Oxford University Press). (2007-12-01). https://doi.org/10.1093/ww/9780199540884.013.u7182. ^ Deep drilling in crystalline bedrock. Bodén, A. (Anders), 1946-, Eriksson, K. G. (K. Gösta), 1922-, International Symposium on Observation of the Continental Crust through Drilling (3rd : 1987 : Mora, Sweden and Orsa, Sweden). Berlin: Springer-Verlag. (©1988-). ISBN 0387189955. OCLC 123201151. https://www.worldcat.org/oclc/123201151. ^ Folkvord, Benn; Furuseth, Eivind (2017-03-10). “Transocean og kompleksitet”. Skatterett 35 (01): 1. doi:10.18261/issn.1504-310x-2017-01-01. ISSN 1504-310X. https://doi.org/10.18261/issn.1504-310x-2017-01-01. ^ Multiphase Flow in Oil and Gas Well Drilling. Singapore: John Wiley & Sons Singapore Pte. Ltd. (2016-04-29). pp. 75–96. ISBN 9781118720288. https://doi.org/10.1002/9781118720288.ch3. Fuchs, K.; Kozlovsky, E.A. ; Krivtsov, A.I. & Zoback, M.D. (1990). Super-Deep Continental Drilling and Deep Geophysical Sounding. Berlin: Springer Verlag. p. 436. ISBN 978-0-387-51609-7. Kozlovsky, Ye.A (1987). 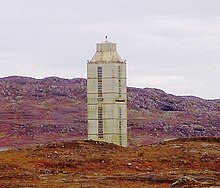 The Superdeep Well of the Kola Peninsula. Berlin: Springer Verlag. p. 558. ISBN 978-3-540-16416-6.